When I say I’m from Jersey, there are three pretty standard responses. This little island floats in the English Channel, as far south as you can get from the rest of the British Isles and 200 miles from the French coast. I love my little island and I say little because although the largest of the Channel Islands, it is only 45 square miles and squeezes nearly 100,000 people into it’s heart. Growing up in Jersey was a unique and special experience. My parents, like so many non Beans, landed on its beautiful shores to work the summer tourist season. They not only fell in love with the island but with each other and never looked back towards the mainland (that’s what us island folk call the UK). A Jersey childhood was one of safety and somewhat Utopian, giving an 80’s child an experience like that of the 1950’s England, with low crime, freedom to play outdoors with no fear of abduction, clean sea air and good old fashioned family days out at the seaside. The tourist industry was booming, farming was still a strong backbone to the islands growth and Bergerac had placed us firmly on the map. Unfortunately as I grew up and my love affair with my island faded, so did the tourists’ and the bankers flocked in as the farmers depleted. As an 18 year old, ready to face what the wider world had to bring I couldn’t wait to board the plane and escape the claustrophobic bubble of island life. The bright lights of London called and armed with dreams and absolutely no real life experience, I stepped into the great unknown. The novelty of variety was astounding, a volume of choice in comparison to the provincial life I was used to. Museums, shops, restaurants, bars and clubs all at your finger tips and whilst my student funds couldn’t always stretch, there was plenty of time to explore all it had to offer. The freedom to go anywhere, anytime and meet new people that you hadn’t known your entire life or who knew your parents was exciting and to the 18 year old me, everything I was craving. As time past and the smell of the city ingrained everything, I longed to see the ocean, feeling trapped among the mass of buildings and people, suddenly my little island didn’t seem so bad and I longed for the simple life and familiarity. So four years after I started my city adventure, the Jersey girl returned home. I stepped off the plane and breathed in the fresh air and within minutes of leaving the airport, I could see the coast, a calmness took over and I knew that the loneliness of city life would dissipate as quickly as the sand at high tide. The next 6 years, my life changed in ways I never imagined. I accepted my shattered dreams of being a dancer, made a career for myself, lost my father and met the love of my life. If Jersey hadn’t have called me back, been my safe haven in my darkest hour I would never got on this road and experienced everything that has shaped me. I’m proudly loyal and patriotic towards my island and whilst I’m on my adventures around the world, it is always with me. The painting of St Ouens that my dad painted hanging in the hallway, the first thing I see when I come through the door, my island shaped clock in my kitchen and my sentimental romantic view of family life all reminders. 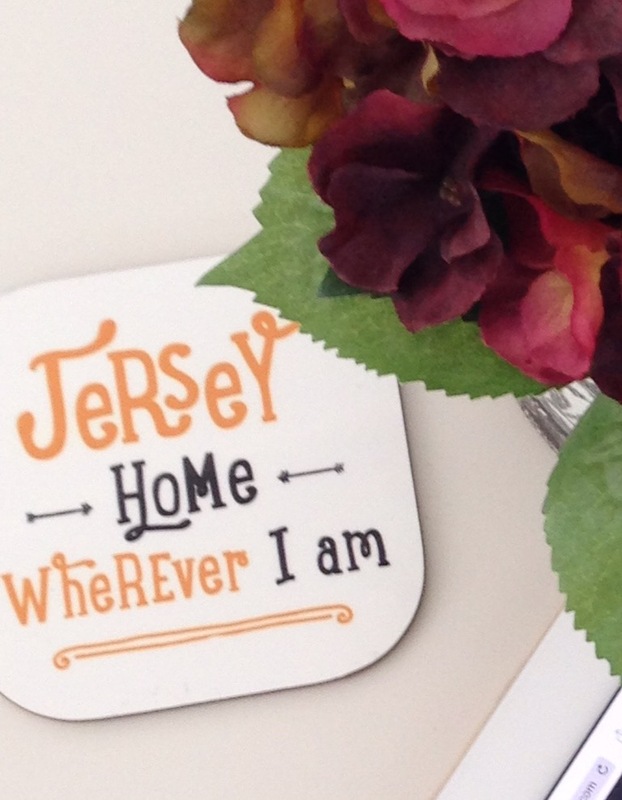 Jersey; it’s my home, my family, my pain, my heart and everything that makes me me. You can take me off my island but the island is always with me.